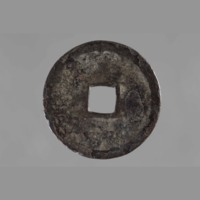 One circular coin. Square central hole. 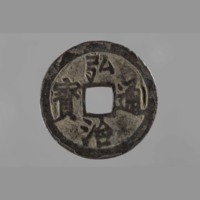 Obverse presents four Chinese characters 弘治通寶 (hongzhi tongbao). From the Hongzhi era of the reign of Emperor Xiaozong (1487-1505 AD). To order a copy of this image please contact Canterbury Museum on images@canterburymuseum.com. The information on this page was created from historic documentation and may not reflect the best available knowledge about the item. If you have information or questions about the objects on this website, please contact Canterbury Museum. Images may be subject to copyright laws and are therefore not of reproduction quality. 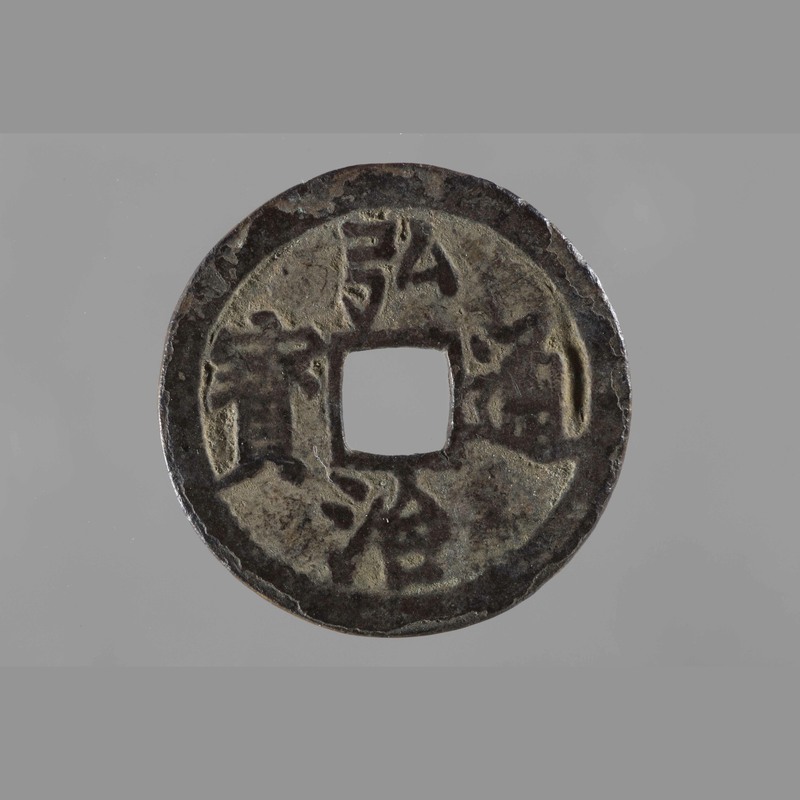 “Money: Coin,” China, Art and Cultural Diplomacy, accessed April 22, 2019, http://rewialleyart.nz/items/show/1295.